Mexico City’s extensive subway system, constantly packed with its 5 million daily users, has just become one of the most expensive public transit systems in the world. A basic daily commute in the city can account for a minimum of one sixth of one’s daily salary. 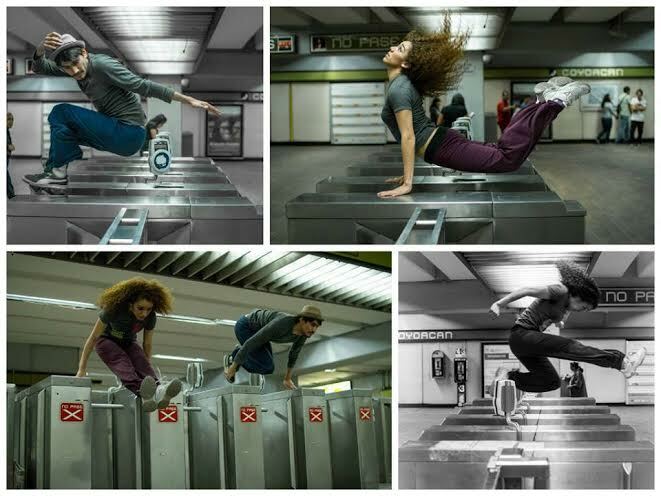 Confronted by this daunting reality, hundreds of residents participated in turnstile jumping protests in the majority of major train stations on the first day of the fare hike. Watch Video: A mi no me encuestaron. ¡Me paso por abajo! from Agencia SubVersiones on Vimeo. One of the popular chants during the #PosMeSalto actions was “they didn’t survey me, I’m just gonna duck below.” Chanters were referencing a Mitofsky survey that was conducted over two days with only 2400 participants, or a mere .05% of the commuter population of the city. The questions were front loaded, asking commuters if they would be in favor of a two peso increase if the government promised to improve service, increase ventilation and up security in the wagons. The population of the metropolitan area of Mexico City is currently estimated at 21 million people and has far outgrown the current system. Often commuters have to wait for three trains to pass by before they can even board a wagon in which people are literally packed in like sardines. With these kind of frustrations and questions worded with a focus on the improvements, 52% of the 2400 people surveyed said they would be in support of a fare hike. This government later plastered the statistic all over the subway system in slick advertising promoting the fare hike. In the months before the fare hike, many commuters, including the author of this article, noted a worsening of the subway service, and some suspected that the transit authorities slowed service to convince people of the necessity of a fare hike. In addition to the subway stops, participants of #PosMeSalto have also taken to the streets. There they have been met with repeated police repression. During two successive large protests, hundreds of protesters were surrounded by police and not allowed to march from their starting point of the Angel of Independence on Reforma, one of the city’s major avenues. Eventually, after a few hours delay, the marchers were allowed to proceed. However, the police encapsulation was a clear sign of the restrictions sanctioned by the new protests law. 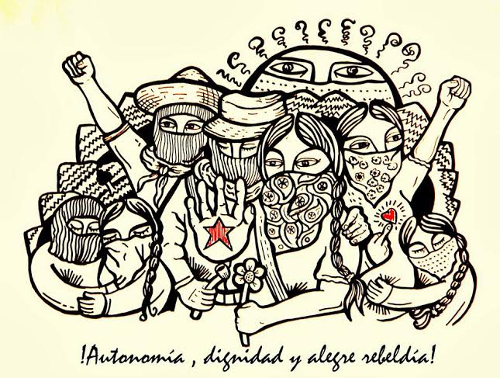 Even before the law was passed, Mexico City experienced an increase in repression of social movements under the leadership of newly elected mayor Miguel Mancera. During protests taking place over the past year, hundreds of people have been arbitrarily detained or beaten including bystanders and street vendors who were not even participating. A few thousand people participated in these #PosMeSalto mobilizations but, considering the general outrage to the fare increase, it seems likely that many did not take to the streets, fearing probable police repression. Diana Cortaza participated in the actions in the subway with her daughter and says that she already couldn´t afford the subway and that the fare hike just makes her life more difficult. A few years back, she dropped out of the free public university because she couldn´t afford her commute. The government of Mexico City has said that they will issue close to 30,000 tickets for discount fares. However, statistics indicate that there are over 2 million people living below the poverty rate, and these discount fares won’t even make a dent. It is also important to note that there are no discount weekly or monthly passes or cards that allow free transfers to buses. This fare hike coincided with the announcement of a 2.50 peso increase in minimum wage, an amount that is not even enough to cover the hike for a round trip ticket. These 2.50 pesos represent a 3 percent increase, roughly in line with inflation, thus hardly an increase at all. Meanwhile the cost of essential goods continues to rise, especially the price of food including the corn tortilla, which is a staple of the Mexican diet. Cortaza says residents are going to keep protesting and she is convinced that they can revoke the fare hike. “The government has passed their reforms because we haven’t protested, subjecting us to more misery,” commented Cortaza, urging more people to participate in the actions. Some members of the Passe Libre movement from Brazil participated in the protests and shared strategies from the successful mobilizations that revoked Brazil’s transit hike in 2013. Their movement brought together students and workers to protest the hike, declaring that accessible or free transit is a basic social right. The people of Mexico City, however, are resisting this annihilation in ubiquitous as well as organized ways. These days it is hard to enter the subway without seeing a defiant young person, awaiting the aversion of a police officer’s glance to slide under the turnstile. Andalusia Knoll is a multimedia journalist based in Mexico City. She is a frequent contributor to Free Speech Radio News,Truthout and The Real News Network and collaborates with various independent media collectives throughout Mexico includingSubversiones. You can follow her on Twitter at @andalalucha and view more or her work on her blog. Ramos, Dulce, “ Los puntos que debes conocer de Ley de Manifestaciones.” Animal Político (December 11, 2013). Barro, Tonelada, “Los vagoneros del metro, los otros damnificados de Mancera.” Desinformémonos (December 15, 2013).